N 6° 53' 10" and E 2° 28' 50"
Houinvigue in Ouémé Department is a city in Benin about 28 mi (or 45 km) north of Porto-Novo, the country's capital city. Local time in Houinvigue is now 04:39 PM (Friday). The local timezone is named Africa / Porto-Novo with an UTC offset of one hour. We know of 8 airports in the vicinity of Houinvigue, of which one is a larger airport. The closest airport in Benin is Cadjehoun Airport in a distance of 37 mi (or 60 km), South. Besides the airports, there are other travel options available (check left side). There are two Unesco world heritage sites nearby. The closest heritage site in Benin is Royal Palaces of Abomey in a distance of 40 mi (or 64 km), North-West. When in this area, you might want to pay a visit to some of the following locations: Sakete, Porto-Novo, Ipokia, Cotonou and Ilaro. To further explore this place, just scroll down and browse the available info. Let's start with some photos from the area. Located at 6.9, 2.45 (Lat. / Lng. ), about 2 miles away. 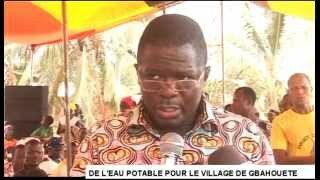 Adja-Ouèrè is a town, arrondissement, and commune in the Plateau Department of south-eastern Benin. The commune covers an area of 550 square kilometres and as of 2002 had a population of 81,497 people. Located at 7, 2.61667 (Lat. / Lng. ), about 12 miles away. Located at 7, 2.45 (Lat. / Lng. ), about 8 miles away. Akpadanou is an arrondissement in the Ouémé department of Benin. It is an administrative division under the jurisdiction of the commune of Adjohoun. 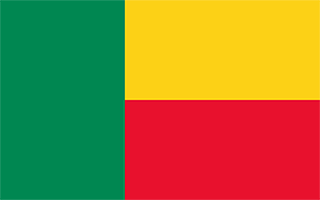 According to the population census conducted by the Institut National de la Statistique Benin on February 15, 2002, the arrondissement had a total population of 6158. Located at 6.76667, 2.48333 (Lat. / Lng. ), about 8 miles away. Affamè is an arrondissement in the Ouémé department of Benin. It is an administrative division under the jurisdiction of the commune of Bonou. According to the population census conducted by the Institut National de la Statistique Benin on February 15, 2002, the arrondissement had a total population of 7269. Located at 6.81667, 2.46667 (Lat. / Lng. ), about 5 miles away. These are some bigger and more relevant cities in the wider vivinity of Houinvigue.